I met Kenneth Womack, the author of Maximum Volume: The Life of Beatles Producer George Martin, The Early Years, 1926–1966 , in 2013 when he was the Associate Dean for Academic Affairs and a professor at Penn State (Altoona). Ken has written three books about the Beatles: Long and Winding Roads: The Evolving Artistry of the Beatles; The Cambridge Companion to the Beatles; and The Beatles Encyclopedia: Everything Fab Four. In February of 2014, Ken organized and hosted “It was 50 Years Ago Today – An International Beatles Celebration” – a 4 day Beatles conference at Penn State in Altoona, PA. He also holds a PhD. in 20th-Century British Literature and has written three novels. Pretty impressive, huh? I remember attending a lecture on the Beatles a couple years ago and sitting down next to Ken in the auditorium as he was typing away at this book, the first book in a two volume set. I was really amazed at how he was doing it with no notes, just his fingers frantically beating away at the keyboard. After chatting with him briefly about what he was creating, I began really looking forward to reading it since everything else I’ve read about George Martin just seems to skim the surface of his life beyond the Beatles. This book isn’t a simple read as it took me two weeks to take it all in even though it’s only 314 pages. The first half of the book is really intense, but unfortunately, the second half seemed to lose its gusto. No longer is the reader reading much about George’s personal life outside the studio (all the stuff I was looking forward to hearing about). Except for a couple paragraphs thrown in here and there about his divorce from his first wife was being final, and a spattering of paragraphs about the other artists he was working with, the second half of the book reads like a combination of George’s autobiography and Geoff Emerick’s book “Here, There and Everywhere”. 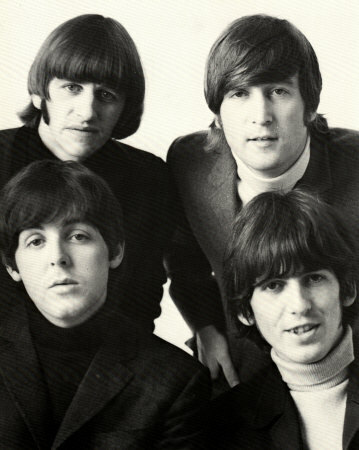 The book seems to become just a daily log of recording the Beatles, what tracks were used for which instruments or vocals and techniques used for each song. WHAT?! Derek and Alistair were brothers? Why am I just hearing this now? How could I have read Derek’s book, Alistair’s book and Brian’s book…let alone all the other books I’ve read and never have heard that they were brothers? Did Kenneth Womack uncover some deep dark Beatles secret in his research? Ten pages later, I was still wondering about it, so I text a Beatles expert and friend and asked him about it. He said he’d get back to me and sure enough a couple hours later, after he consulted with a couple other Beatles experts and confirmed….it’s an error! OMG…it’s a glaring error by the guy who wrote The Beatles Encyclopedia: Everything Fab Four. I regretfully rate this book, 2 out of 4 Beetles! UPDATE (Oct 2, 2017): After reading this review, Kenneth Womack contacted me via email to say: “Thanks for the review. The error has been corrected in the eBook and new edition, which is being published next week.” Thanks for the update, Ken!